I’d seen her at church for awhile – how long, I’m not sure, because I was in my own self-imposed solitary confinement and wasn’t fully aware of anything going on outside of myself. But I had seen her, and based on what I saw, I had my assumptions. She always had on really pretty clothes – the kind I wish I had – so she was obviously much more put-together than me. She always seemed so happy and comfortable and in her element surrounded by her group of people, so she obviously had enough friends and had nothing in common with me and my socially awkward introvert ways. She was a leader of a new ministry my church had begun, and spoke with passion about her experiences with that kind of ministry before, so she was obviously much more spiritually mature than me. But one Sunday, as I took a breather between services and prepared to deliver the second sermon of the morning, she approached me by the media booth. 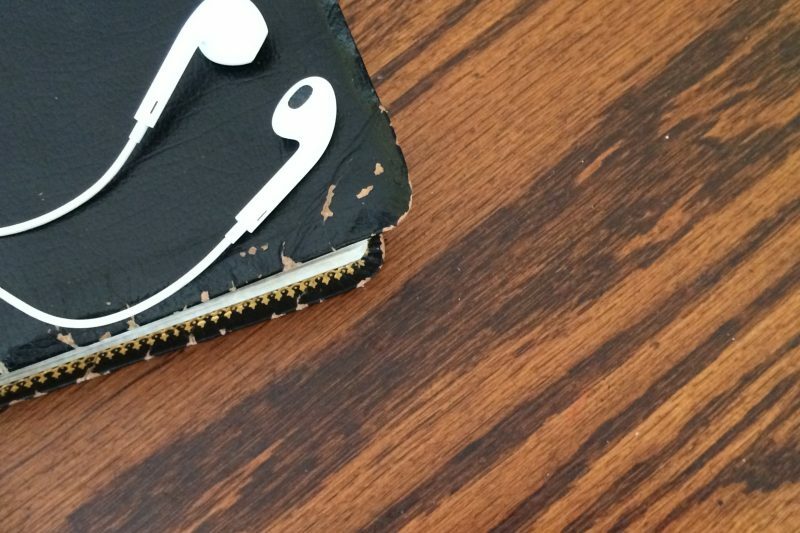 Um….huh? What’s that, now? I may have even done one of those glances over my shoulder, certain she was talking to someone else. Still surprised and unsure what else to do, I agreed to arrange a time to get together. I sent her a friend request on Facebook – because that’s what you do in a case like that, I guess? – and we made the plans for the next Sunday. I’ll confess…I thought there was an agenda. Since I hadn’t signed up for the ministry she was leading, I honestly thought it was a recruitment dinner – a sideways attempt at getting me to be a part of it. I couldn’t think of any other reason – truly – that she might want to spend any time with me. As Sunday afternoon approached, I became increasingly anxious and suspicious. Nothing good will come from this, I assumed. It’s actually probably going to be awful and another reminder that I don’t fit. I’m going to leave feeling more alienated than I do now. ……..it wasn’t like that at all. That afternoon, as I ate my soup and we talked, I forgot everything I had expected about that little meeting. Though we’d never had more than a two-minute conversation, our talk that night in the corner booth at Panera went deep. Quickly. Because as it turns out, we both struggle with things that are pretty uncommon and we connected over things that few people can. Things that not many people deal with, but that weigh us down and that we need to talk about because no one else is. For us, that afternoon, everything was fair game. We talked about everything and nothing for a couple of hours. By the time I got to my car, I may have cried. I can’t remember, but I know for sure that I felt like it. And then? Then I did cry. Because I hadn’t been able to say that in a long time. Because the word “friend” had felt so far out of reach for so long. Because I had given up on ever having what I saw other people had. Because I had only just begun to realize that I needed that, but didn’t know how to get it. Because I was scared that having a friend meant I might get hurt. Because I was beginning to see how the good might outweigh the scary and bad. And mostly because I was seeing that God in a new way. 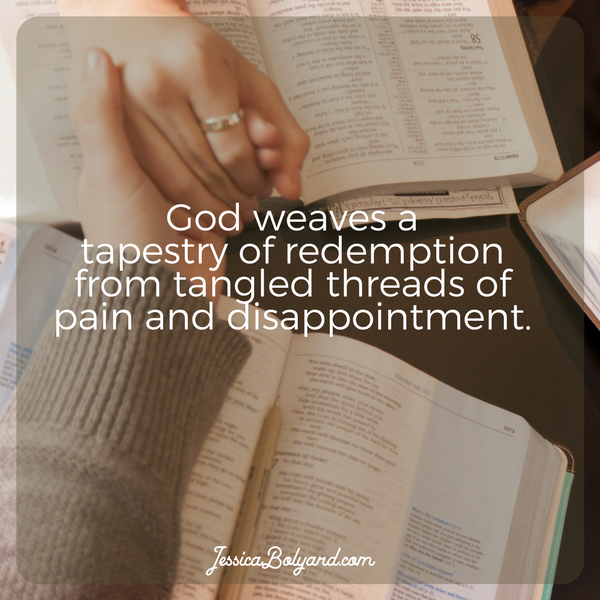 I was understanding how He weaves redemption from tangled threads of pain and disappointment. How He knows my needs before I ask and aches with me as my stubborn hands fumble to make sense of it all. How He could reveal the finished tapestry any time He chooses, but that He instead waits for me to loosen my grip on the knots of brokenness. How He knows how to fix it all, but that He wants me to stop trying to fix it myself. He could have brought friends to me months – years – earlier. Only once I began praying – desperately, fervently, hesitantly leaning into the ache and fear and anger – did He begin in me what He had wanted to do all along. I think that’s what it’s about, really. God longs to give us what’s good for our souls. That’s what He does – weaving a tapestry of redemption and wrapping it around our broken hearts. Sometimes our low expectations are warranted. 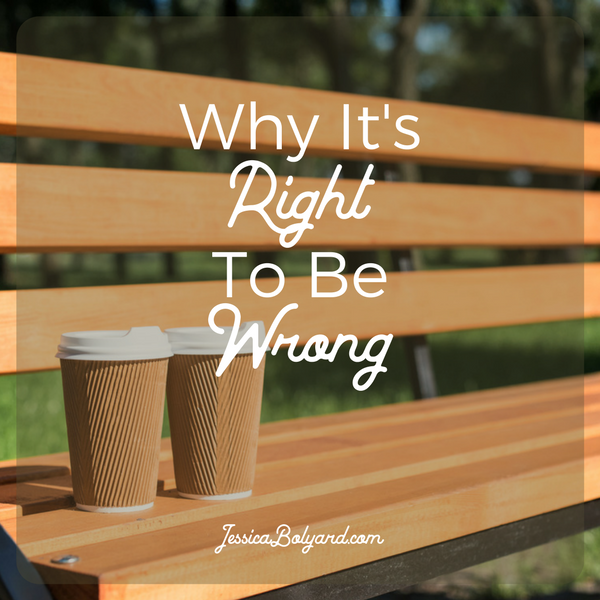 But when God is involved, we ought never be surprised when we’re wrong.